Palestinian-American deejay, DJ Khaled, may make an appearance at Buju Banton’s first Long Walk To Freedom Concert in Kingston Jamaica tomorrow night, Urban Islandz reports. Some 35,000 are expected to gather at the Jamaica National Stadium for the event which will also feature Banton’s son, Jahazeil Myrie, Chronixx, Delly Ranx, Agent Sasco, Etana, Cocoa Tea, Romain Virgo, L.U.S.T. and Ghost. Banton will reportedly himself perform a 90-minute set at the March 16th event, which will not include the controversial “Boom-Bye-Bye,” according to the Star, which quoted Jamrock Sound principal Hugh ‘Redman’ James. A massive welcome party is set for tonight, March 15th at Fiction nightclub where tickets are USD 30 for general admission and USD 50 for VIP. Music will be provided by Stone Love, Massive B, Richie Feelings, JamRock and Spex Da Boss. Meanwhile, Banton will be taking his Long Walk To Freedom show across the Caribbean and Germany, with shows set for: Nassau, Bahamas’ Thomas A. Robinson Stadium on March 30th; Port Of Spain, Trinidad & Tobago’s Queen’s Park Savannah on April 21st; Bridgetown, Barbados on April 27th; Paramaribo, Suriname on May 4th; St. George, Grenada On May 11th; Guyana’s National Stadium on May 25th; Tortola, British Virgin Islands On June 15th; Basseterre, St. Kitts on June 29th and Cologne, Germany on July 6th. Three Caribbean born actors and one Caribbean roots actor are up for NAACP Image Awards this year. Black Panther’s Winston Duke, born in Trinidad and Tobago, and Letitia Wright, born in Guyana, are up for Outstanding Supporting Actor and Actress, respectively, in a Motion Picture. Both are also nominated for Outstanding Breakthrough Role in a Motion Picture. CCH Pounder, who was born in Guyana, is up for the award for Outstanding Supporting Actress in a Drama Series for her role in NCIS New Orleans. Meanwhile, actor Romany Romanic Malco Jr., whose parents were born in Trinidad and Tobago, has been nominated for Outstanding Supporting Actor in a Drama Series. Jamaican Shanique Drummond, a real estate property manager married to Dr. Robert Drummond, an Urgent Care Physician in Los Angeles, is among the cast for Bravo’s “Married to Medicine” Los Angeles. The series got underway on Sunday, March 10, at 9 p.m. and chronicles the lives of doctors and doctors’ wives as they navigate their personal and professional lives in the affluent, fast and fabulous entertainment capital of the world. Drummond is from a traditional Jamaican family with roots in Clarendon and Spanish Town, St. Catherine, who does it all – from taking care of her kids, to juggling her own full-time job, to coming home and making dinner still in her stilettos and with full glam. “Roots Passion,” by Nebraska-born-Florida-based singer, Benjah, has debuted at number one on the Billboard Reggae Chart this week. The album, released on March 1st, sent “Get Soca 2019” to number two as Rebelution’s ‘Free Rein’ jumped into the third spot. Sting and Shaggy’s Grammy-winning ‘44/876’ remained at fourth while ‘Soca Universe 2019: Vol 1,” climbed to number five. 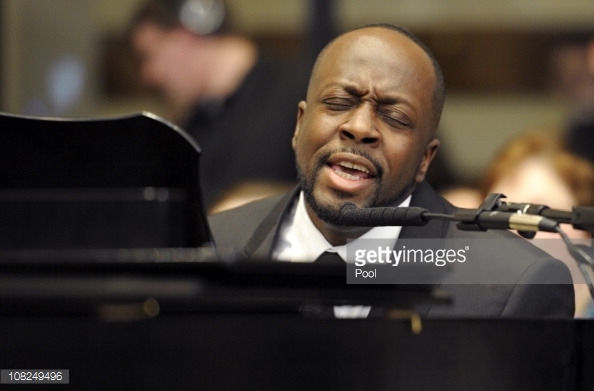 Haitian-born singer, Wyclef Jean, has launched a new series titled Wyclef Goes Back To School. The album feature artists discovered by Wyclef while touring colleges around the United States. Caribbean roots singers, Cardi B and Bruno Mars’ second collaboration, “Please Me,” has rocketed to the top of Billboard’s Hot R&B/Hip-Hop Songs chart with a 6-1 burst on the list dated March 16th. The track becomes Mars’ third No. 1, while Cardi B collects her fourth. “Please” traces its jump largely to increased streams after its official music video premiered on March 1. Cardi B traces her roots to Dominica and Trinidad and Tobago while Bruno Mars’ roots stretch also to Puerto Rico. For the fifth year in a row, the Brooklyn Academy of Music, (BAM), is hosting their series of new Caribbean cinema. The series opened on Thursday, March 14th with “Yardie,” a Jamaica and London-set crime film directed by the actor Idris Elba. Over the next four days, there will be films from Haiti (“The Sun Will Rise”), Puerto Rico (“1950: The Nationalist Uprising”), the Dominican Republic (“Cocote”) and Guyana (Victor Jara Collective). “Panorama: Jamming to the Top,” a documentary about the annual steel band competition in Brooklyn and New York-based photographer Khalik Allah’s “Black Mother,” his impressionistic portrait of Jamaica, will close out the festival. For the full schedule and tickets for the series, click here. The post Caribbean Entertainment News Round-Up appeared first on Caribbean and Latin America Daily News.